You might already know Nicole. She is one of the moderators in the discussion forums, but did you know that she is the top contributor to the Flickr group as well? She has sewn lots of Oliver + S clothing for her five, soon to be six children. Here is her “baby’s first Oliver + S” ensemble. She sewed up all four pieces from the Lullaby Layette for her baby on the way. 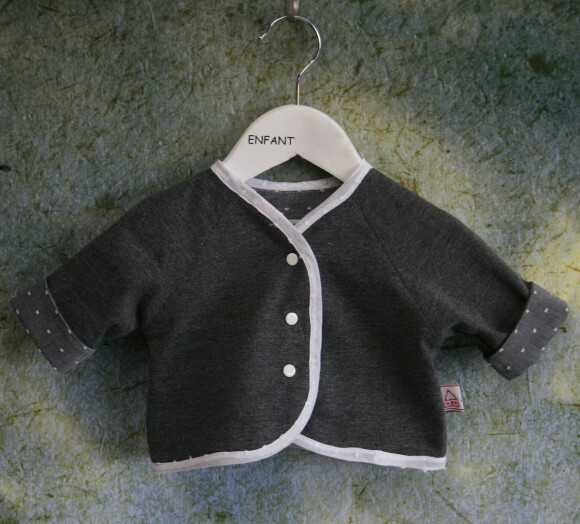 Using charcoal hailspot muslin, the set includes a long sleeve bodysuit. Here is the back of the pants. Heavy rugby knit was used for the jacket. And the shirt features teddy bear head shaped mother of pearl buttons. What a well dressed baby this little one is going to be! And a very fortunate one to get lots of hand-me-down Oliver + S clothing in the future, too. You can read more about this outfit in Nicole’s blog post here where you can view all of the pieces together in one photo. These are beautiful, Nicole! What a lucky baby! Nicole’s lovely sewing inspired me to get this pattern before my little guy outgrew the sizing completely. So beautifully made! I love this baby set! Nicole has such a great eye for detail and her sewing is always so flawless! Oh my, Rachel, I didn’t know it was just me. I am absolutely tickled pink! Thank you sweet Ladies, it is a lovely sew. I must confess, when the email arrived announcing the Lullaby Layette, I rang my husband in tears, I was so excited. It’s beautiful. The fabric is perfect. Obviously I am biased but wow does this ever make me want to have a baby! 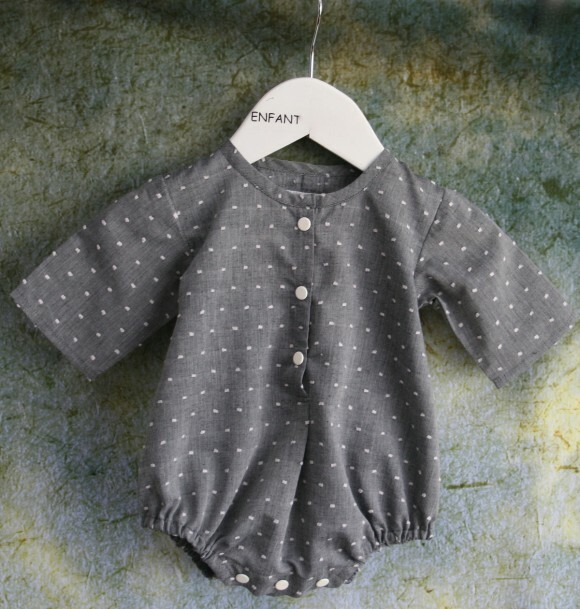 I love the gray and white layette! 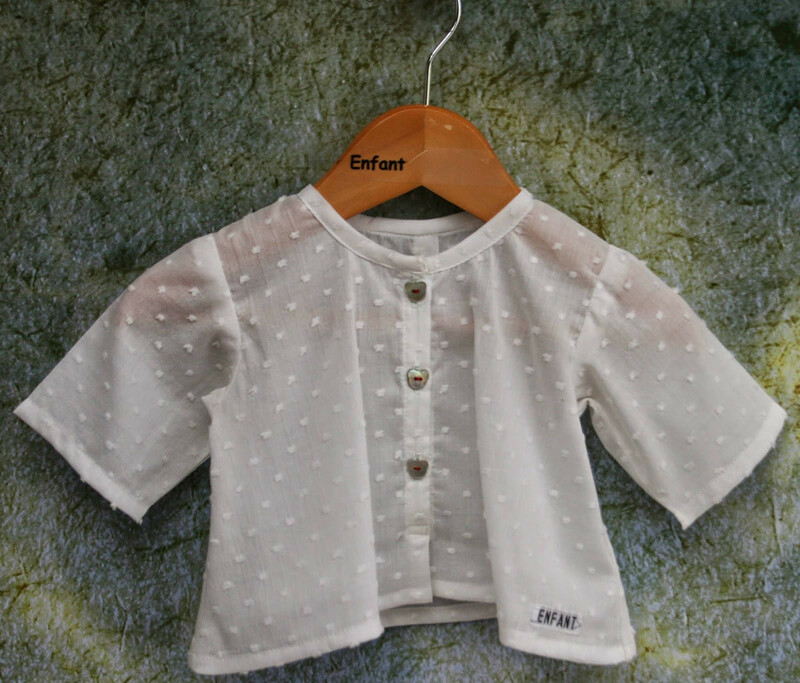 So sophisticated and perfect for a wee girl or boy! ah! nicole, these are beautiful! 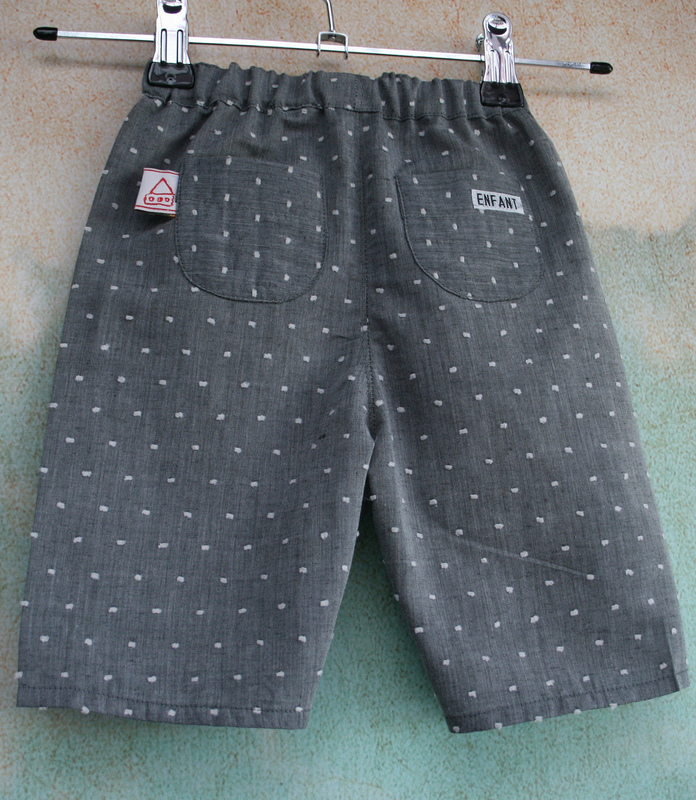 love the gray and the polkadots. lucky baby indeed!